If you see thus and you think its true comment down below. they ask you how you are, and you just have to say that you're fine, when you're not really fine, but you just can't get into it because they would never understand. Im totaly fine. 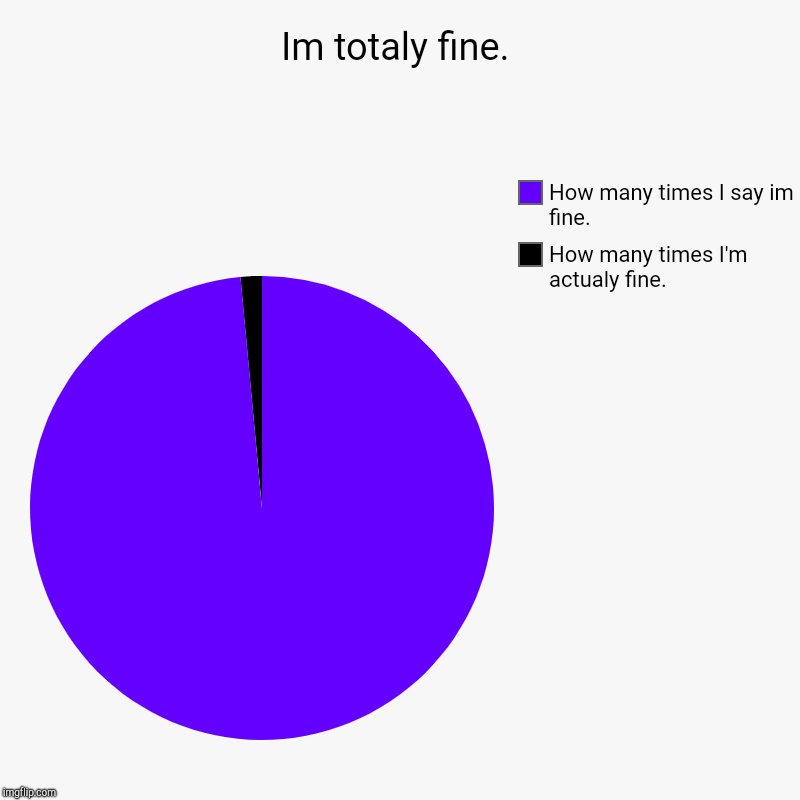 | How many times I'm actualy fine., How many times I say im fine.